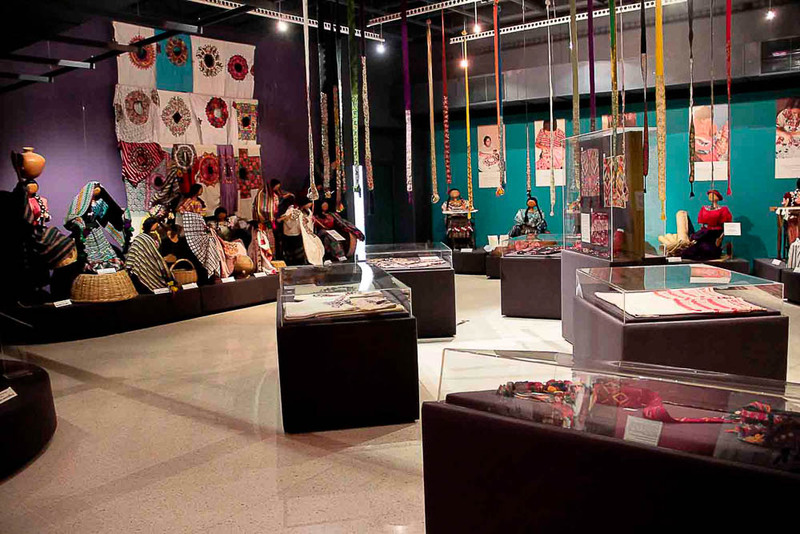 Embroidery by hand is a technique brought to Guatemala by the Spaniards after 1524 and adopted into traditional indigenous textiles. It consists of making stitches with needles and threads to decorate the materials or panels used when making huipils or blouses, trousers, over-trousers, and sashes. 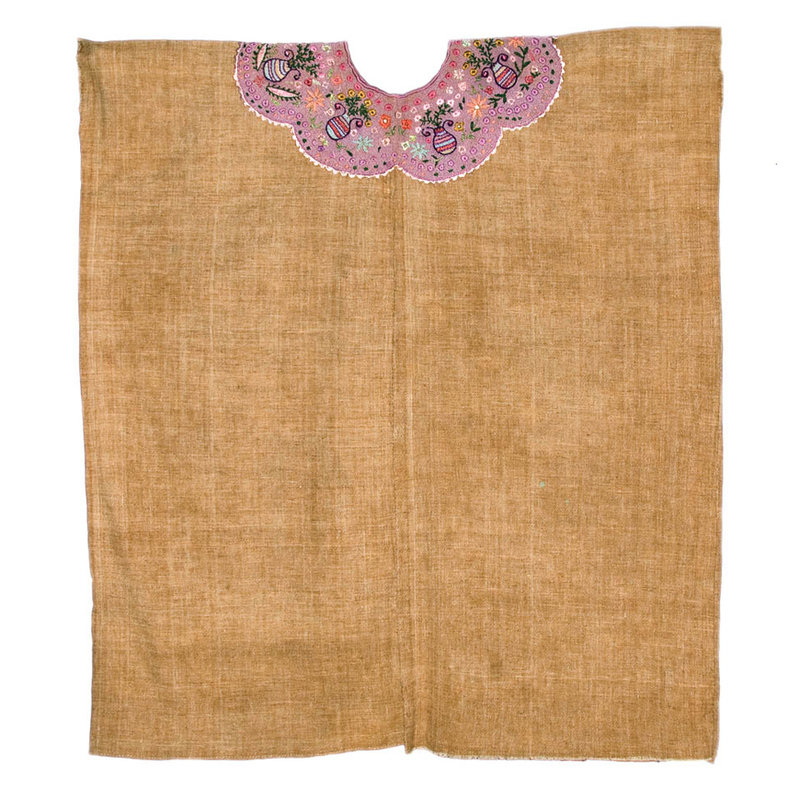 It is also used on the borders of necks and armholes of huipils; on headbands and hair-ribbons; on the joins of textiles for huipils and skirts; and on the different types of cloths, su’ts in various Mayan languages, that are used to protect the shoulders or head, or to carry children. Needlework is also used to decorate cofradía religious items such as altarcloths and veils. 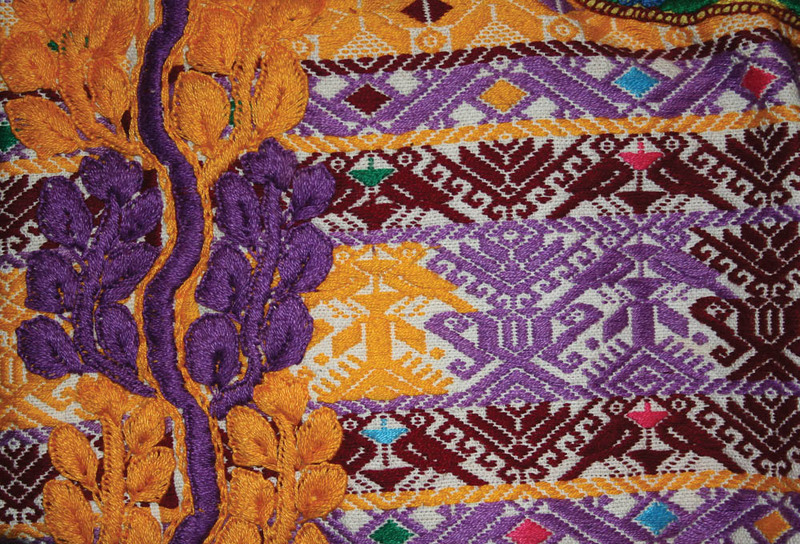 In the Guatemalan Highlands, hand embroidery was one of the most important techniques when decorating everyday, ceremonial, or festive huipils or blouses. Until the 1970s, the traditional costume of each community was differentiated from the next thanks to a specific repertory of stitches, threads, and colors that retained the distinctive designs expressing community identity. 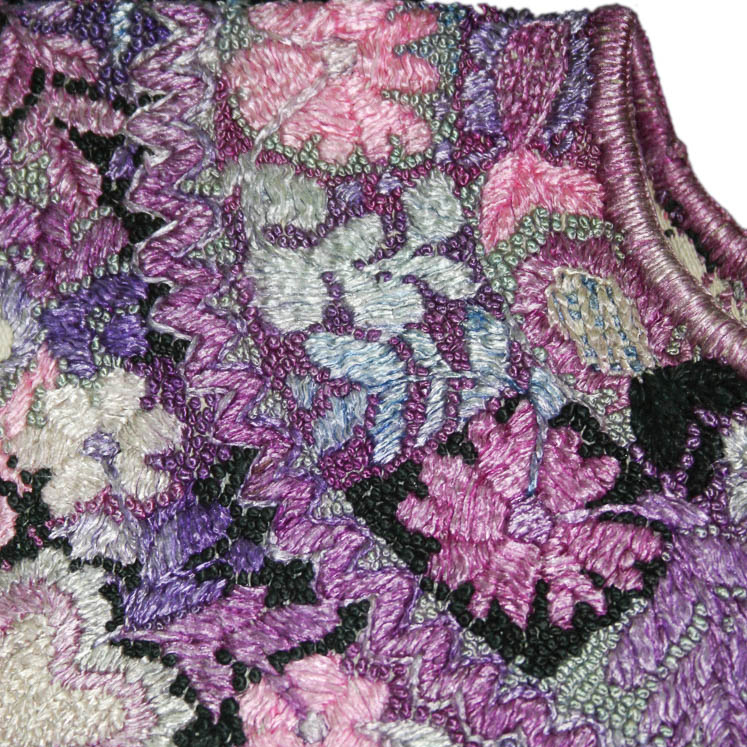 Around the 1970s, blouses began to be embroidered with the sewing machine instead of by hand. Cost and time factors were reduced. Over the years, these changes contributed to the loss of traditional distinctive motifs and in many areas blouses became garments of generalized identity. Recently, some communities have increased the use of machine embroidery to depict on huipils figures that previously were woven on the backstrap loom.